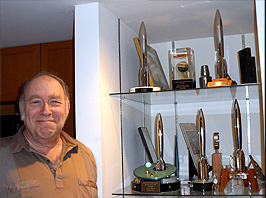 Mike Resnick is, according to Locus, the all-time leading award winner, living or dead, for short science fiction. He has won 5 Hugos (from a record 37 nominations), a Nebula, and other major awards in the USA, France, Croatia, Poland, Catalonia, Japan, and Spain. Mike is the author of 76 novels, 280 stories, 10 books of non-fiction, and 3 screenplays, and has edited 43 anthologies. He is currently the editor of Galaxy's Edge magazine and Stellar Guild books. Mike has been a guest of honor at 42 conventions during his career, including the 2012 Worldcon.